This sauce is quick, easy and adds a tonne of flavour to sandwiches, wraps, or even use it as a salad dressing. My sister taught me this recipe except her version had lemon. Once I added lime instead because I was out of lemon, and I now do it this way all the time. I find lime has a stronger flavour so you don’t require salt. **note: don’t use mayo that already has olive oil in it or it will coagulate. May need salt to taste but probably not. Heat oil on stove and add garlic. Cook until garlic is just golden brown. 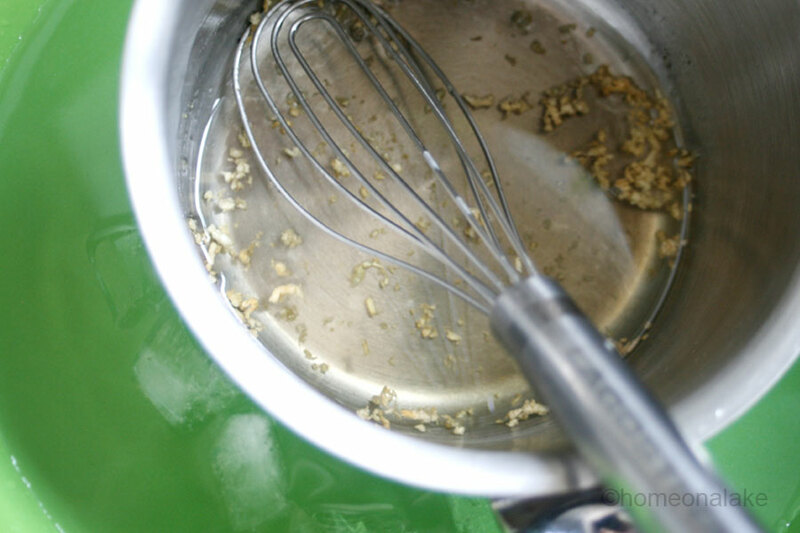 Next, rest pot with oil in another pot containing ice water (to cool the oil-garlic mixture). 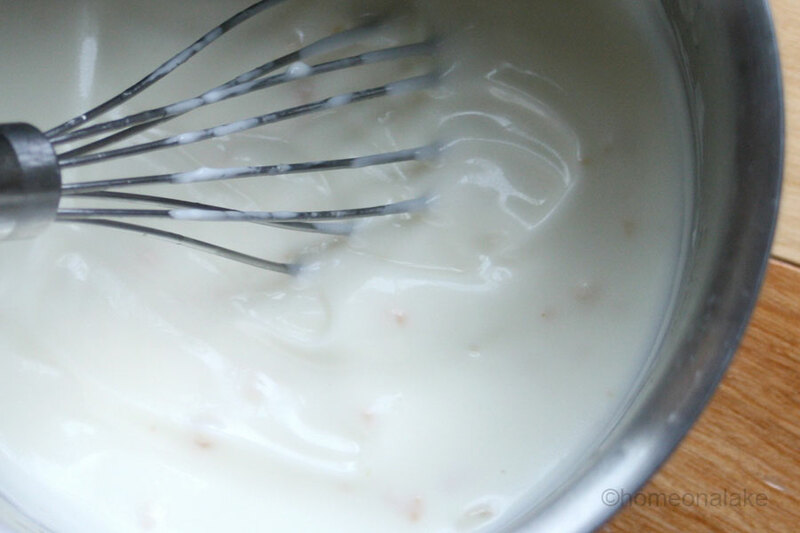 Once cooled slightly, add the mayo and mix. The sauce will now start looking like this but don’t worry! Once you add the lime (which is now), it all comes back together again to form a nice smooth creamy texture like this. That is it! “Easy, peasy, lemon lime squeezy!” (As my daughter’s teacher would say). Just remember the goal is to taste salty and sour equally. If it doesn’t, you may wish to add some salt and/or olive oil and/or more lime to taste until you get it just the way you like. Enjoy! 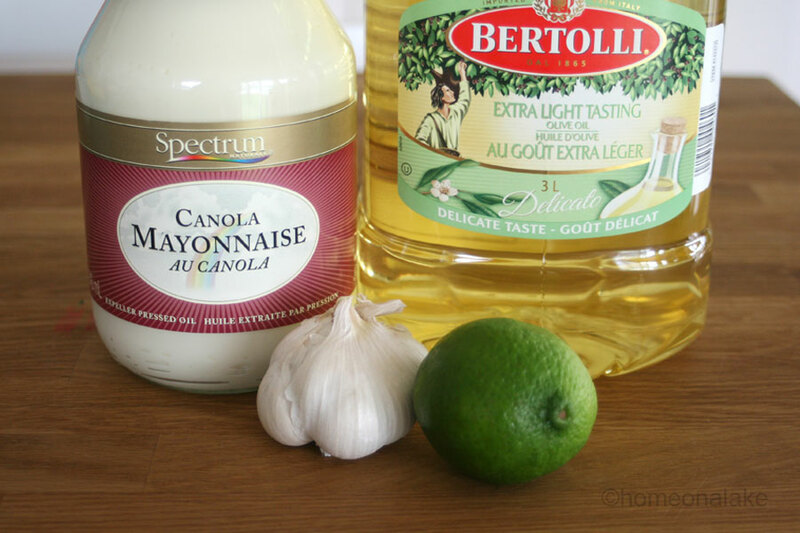 This entry was posted in Recipes and tagged aoli, garlic, lime, mayo, olive oil, photos, recipe, recipes, sandwich, sauce, wrap by homeonalake. Bookmark the permalink. 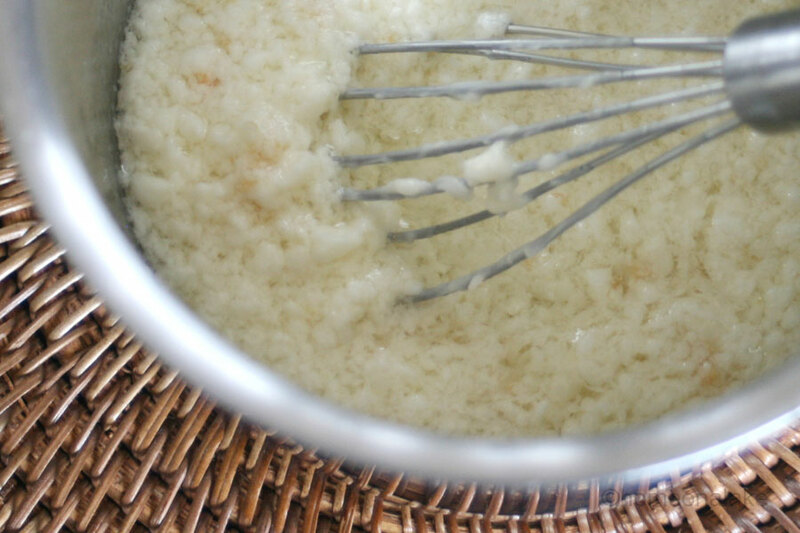 I love aoli and this recipe looks so easy! Yes, that is why I love it too. Enjoy!